A weekend heavily dominated by a wonderful 3 hour session patrolling mayweed on the shore. Every slow trek along the stretch turned up something new, including two fantastic flies. The first, which I thought was a Gonia, I now realise isn't and I'll have to look at it properly. What a bizarre mistake to make. 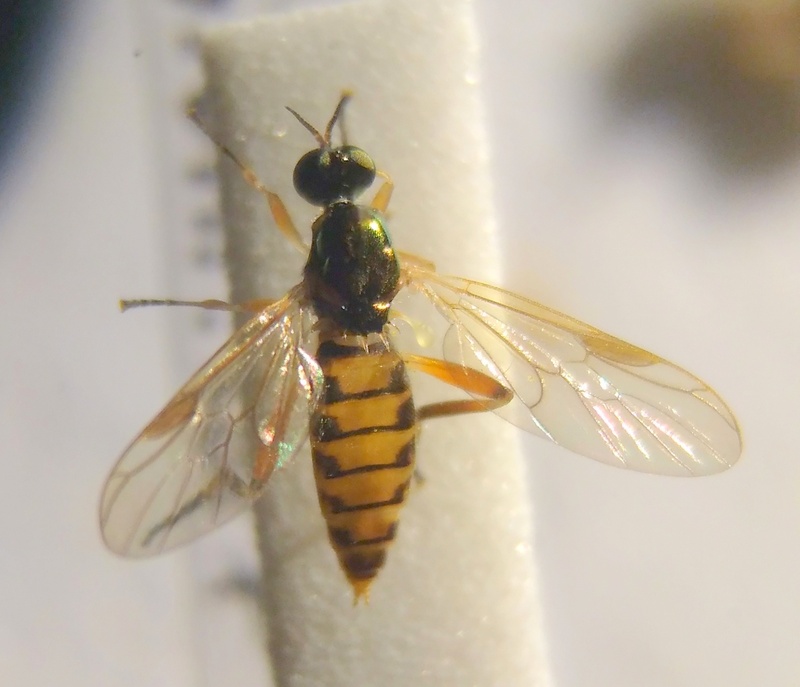 Anyway ... the second , which is new for the county at least, and possibly new to Scotland, is the soldierfly Chorisops nagatomii. 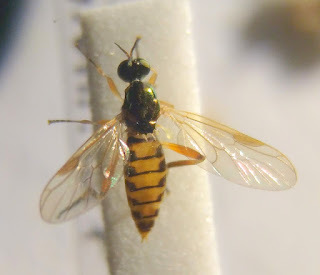 Both species of the genus are southerly in distribution but nagatomii is a late summer species and in all references consulted so far has no Scottish records. Once I establish the species ID is good I'll cross check to see if someone else has pipped me to the post.